When the Doctor’s not busy licking leaves or running around the TARDIS with his Spirograph and a ballpoint pen, he likes to pick up girls. The prequel to the episode reminded me that it’s not exactly the first time that the Doctor’s met someone as a child who, in their later life, he’ll go on to snog. I blame The Time Traveler’s Wife for all this. They’re not even safe in their prams. Especially now we know from Closing Time that the Doctor “speaks baby”. It was all the other way round with Captain Jack, but there you go. Of course, companions these days are generally predestined to meet the Doctor anyway, by dint of sending themselves messages from the future, being the future mother of the TARDIS-child or the TARDIS-child herself, and so on. Even lovely, ordinary Donna – who escaped the gallery of shame above – lived under an anvil of cosmic coincidence. And Clara’s story is the most extreme of the lot. The wireless password forming a reverse-engineered mnemonic of her deathbed catchphrase is the sort of contrivance even Jacob from Lost might have thought a step too far. 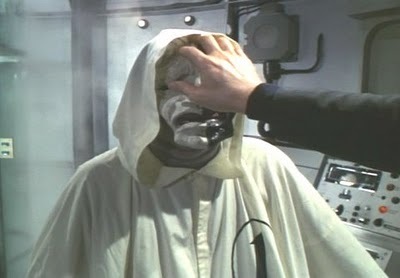 Regular readers will know I like to analyse classic Doctor Who villains through a prism of businesss jargon, invoking client/agency relationships at every step. How thoughtful of Steven Moffat to save me all the work on this one, with a classic ruthless PM versus terrifying client set-up. The four key qualities that Miss Kislet controls in her employees are Conscience, Paranoia, Obedience and IQ. It’s not exactly The Seven Habits of Highly Effective People, but then what is? I like that she has a little weather forecast handy on her tablet of terror too. At this rate I wouldn’t be surprised if the fact that Clara nannies for a family called “Maitland” turns out to be a link-in to The Sensorites. Exciting to learn that Amy became a writer after leaving the Doctor! 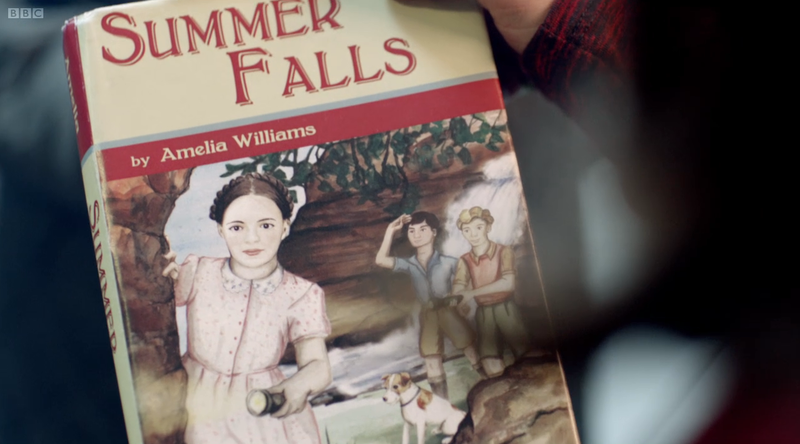 What sort of a book IS Summer Falls? From the cover it looks to be a Famous Five sort of adventure – and I wish it had been the little white dog that came to life on the stairs rather than the snooty girl – and yet Chapter 11 will have you crying your eyes out, apparently. Of course, in going from model to children’s author, Amy’s career path is closely following Katie Price’s. 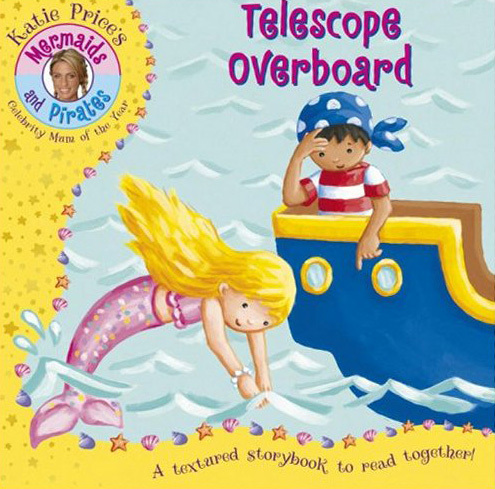 Did Amy ghostwrite any of Katie’s books? This Mermaids and Pirates series looks a lot like a better-lit The Curse of the Black Spot. But they didn’t answer my question! With some spoilers for the endings of Lost, Cube and The Prisoner, but also, sort of, no spoilers at all. I like ambiguous endings. I like getting the chance to think over what I’ve seen and come up with my own interpretation. A lot of people don’t. Sometimes they’ve got a point: when a plot’s supposed to make sense but fails because it’s too messy, complicated or badly thought-out, for instance. But a lot of plots aren’t supposed to make sense, not exactly. Sometimes authors credit us with the intelligence to enjoy what we’ve just seen on a different level: thematic, allegorical or whatever. And man does it make a lot of people angry. I felt sorry for people who hadn’t seen Lost in years but tuned in for the final episode in order to see all their questions answered. The most popular questions — what is the island? why are they all there? what’s that smoke monster? will they ever get home? what about that polar bear? — had already been answered, at least a year previously, and the series finale concentrated on tying up the fates of the remaining characters while resolving the mystery of the ‘sideways world’ that had been introduced in the final season. For people looking for concrete, scientific explanations, “the island was magic so there” was hard to accept. But I find it satisfying, because it allowed (in retrospect!) for the show’s central big idea — could you be a better person, if you lost all your baggage and started again? — to be played out in an arena that really did work as an allegorical one. You can see why a show that deliberately spent years setting up and resolving a series of insanely complicated, interlinked plots and questions might be expected to cater to its more literal-minded fans at the end. On the other hand, the classic The Prisoner ran for less than six months in the late 60s and still attracted similar levels of feverish outrage with its baffling last episode. From my homie, to my only. Patrick McGoohan was even less concerned than Lost creators Lindelof & Cuse with answering viewers’ questions, and final episode Fall Out is an onslaught of imagery, ideas and insanity that deliberately defies literal explanation. Does Number 6 get home from his allegorical arena? Well he appears to, but just like Jack and Kate in Lost, he’d already been back at least once only to find that his true home was The Village. But unlike in Lost, the very final moments on the doorstep feature a moment — just a sound cue, really (I AM TRYING NOT TO BE TOO SPOILERY), — which makes it especially clear that Number 6’s freedom or imprisonment is entirely symbolic, and nothing we’ve seen in the last seventeen episodes should be treated as though it ‘really happened’. In the fictional sense of things really having happened, of course. The big questions turn out to be the ones about the role of the individual in an oppressive society, and the prisons we make for ourselves, rather than anything mundane about what the butler was up to or whether Alexis Kanner would have slept with us. Now if TV and film viewers find allegorical conclusions hard to swallow, especially if, as in The Prisoner, it’s sprung on them as a bit of a surprise at the end, wouldn’t the ideal solution be a show or film in which the whole point throughout is that there isn’t going to be a literal explanation? And I’m not talking about the arthouse, I’m talking about something that might appeal to a popular audience. The square root of 69 is 8-something? Which brings us to Cube, a 1997 Canadian horror film which didn’t do too badly commercially even though it’s an unapologetic existential parable. 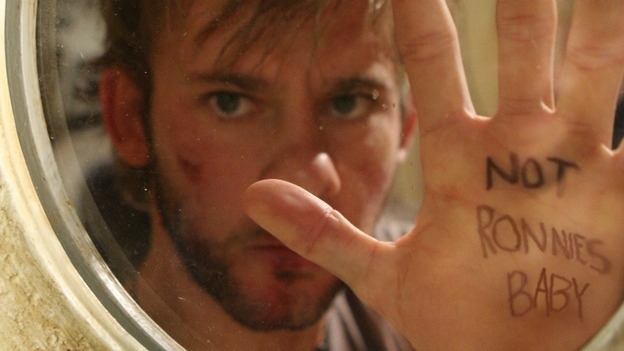 The basic premise is the same as Lost’s and The Prisoner’s: characters awake somewhere strange and new with its own set of devious rules, and divorced from their previous lives they face the best and worst of their own natures. But as the characters negotiate the deadly traps in the Cube, it becomes very clear that they’re in a fictional space. Someone may know someone who, say, designed the Cube’s door handles, but no-one planned the whole thing and no-one’s in overall control of it: this huge impossible monolith is just a metaphor for the cruelly faceless processes we’re all subjected to in the world. Kafka’s often cited in positive reviews of the film. So it makes me happy that a film so blatantly abstract and symbolic should have found success, if only modestly. OBVIOUSLY there are sequels which proceed to demystify it and make things literal, to the point where the final film starts with two men in a room pushing buttons to operate the Cube’s traps and ends with an almighty retcon. But the original film stands for me as the best example yet of a piece of mainstream entertainment that tells its audience that sometimes, things don’t have to have a perfectly literal explanation.